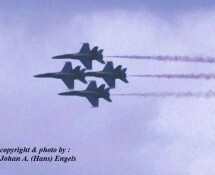 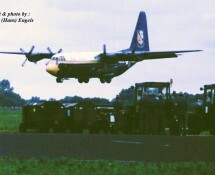 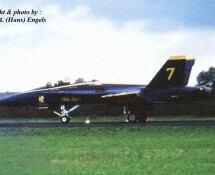 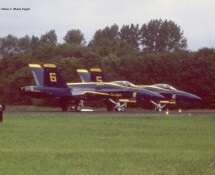 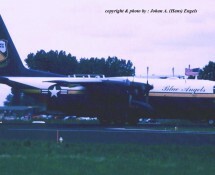 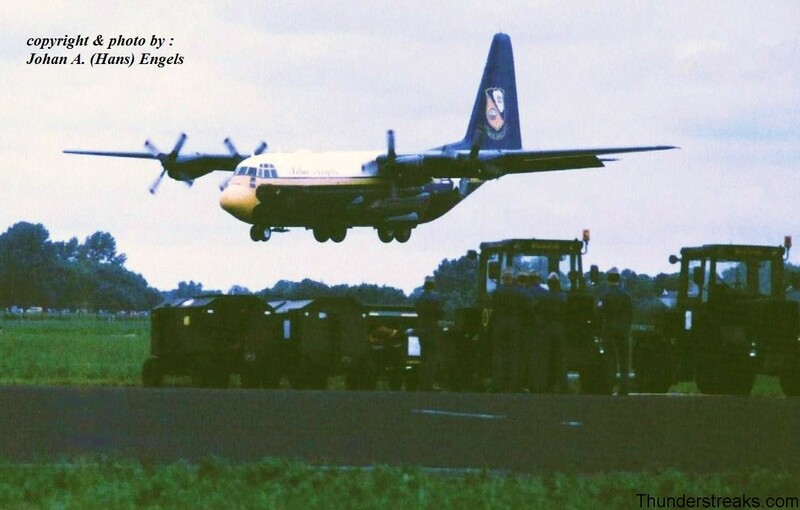 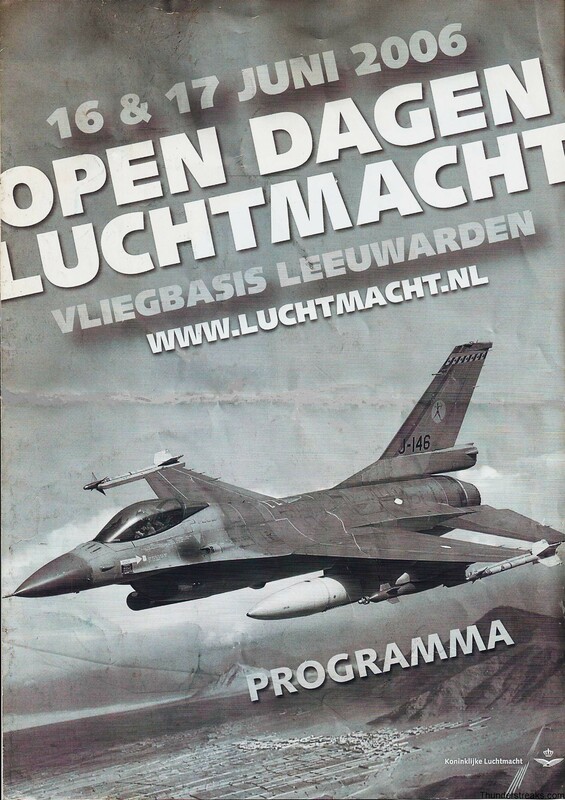 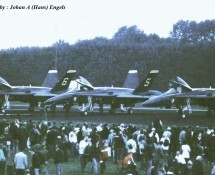 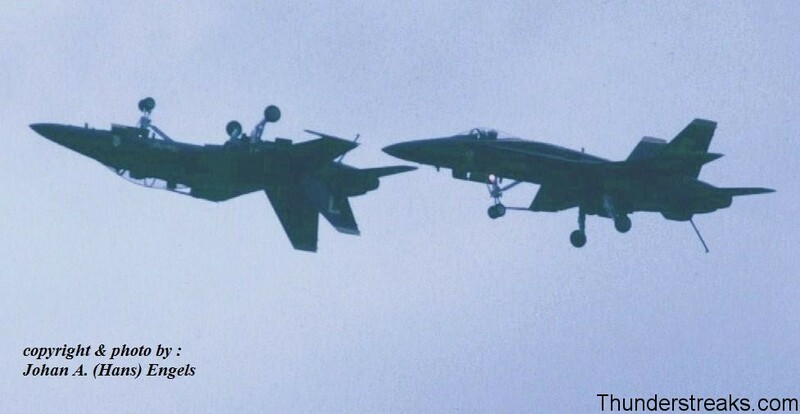 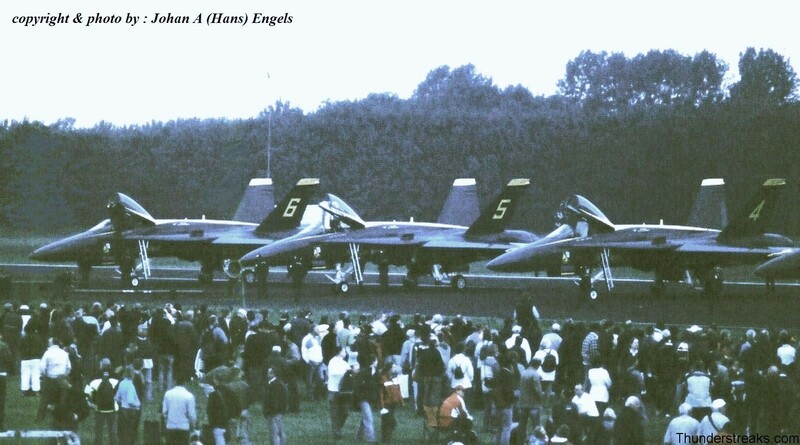 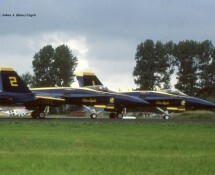 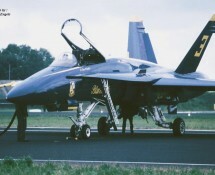 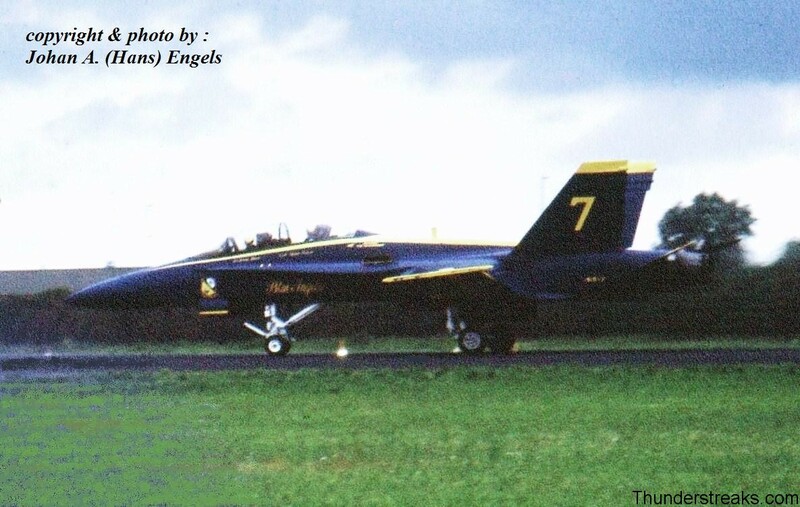 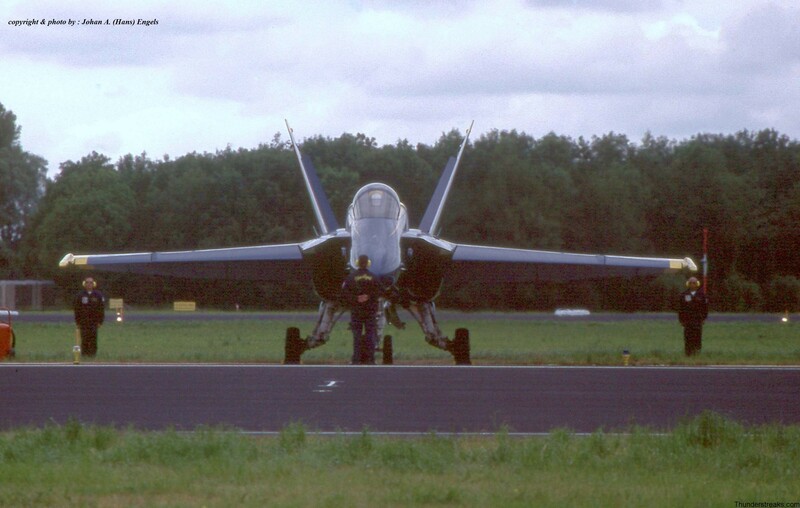 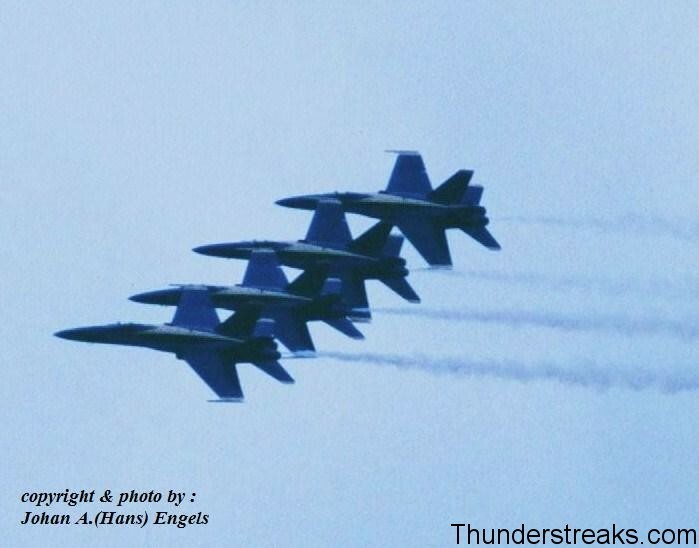 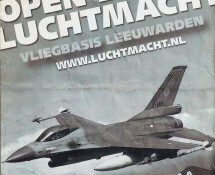 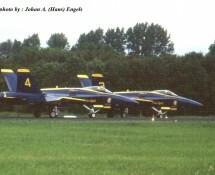 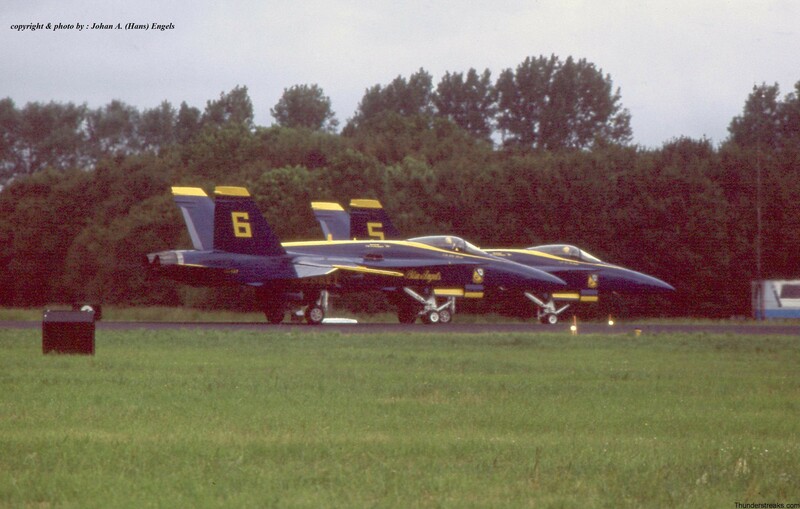 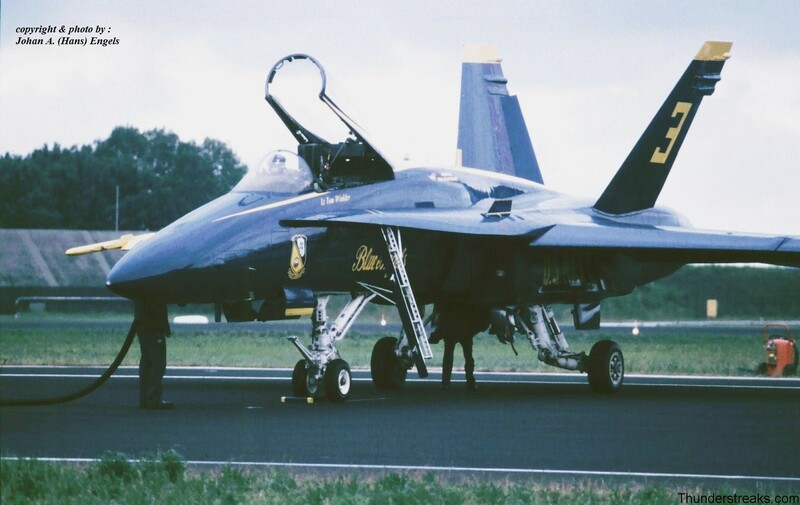 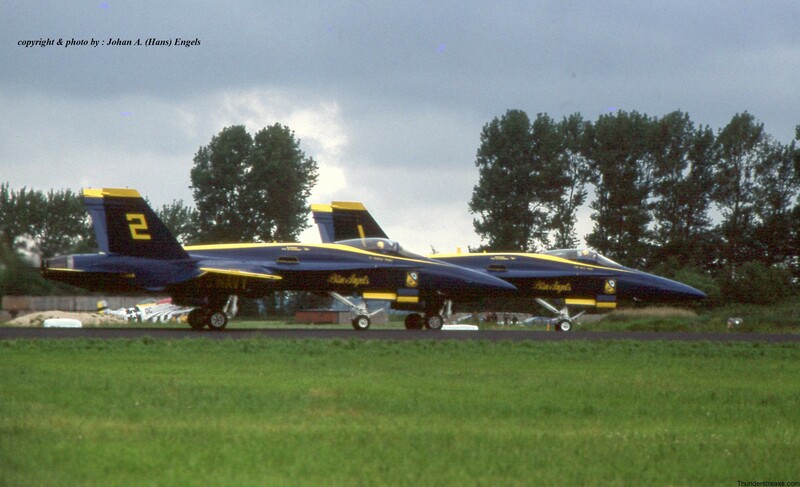 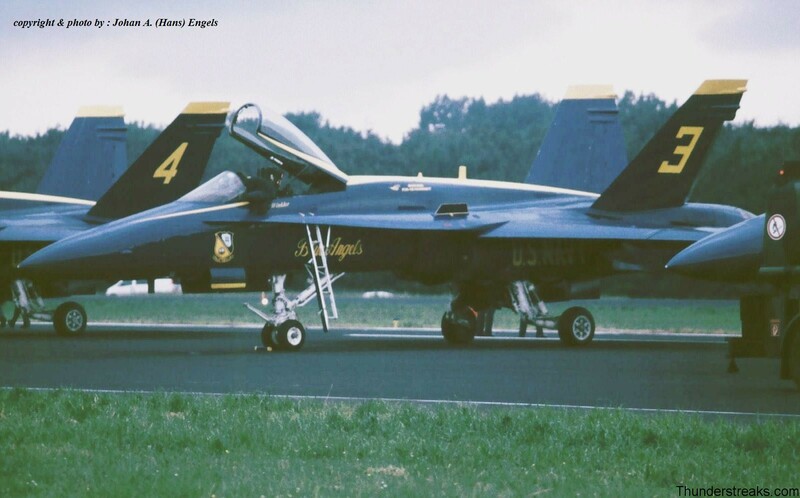 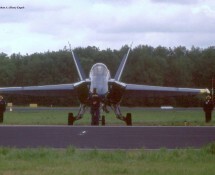 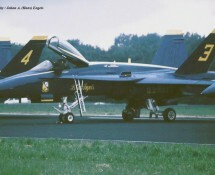 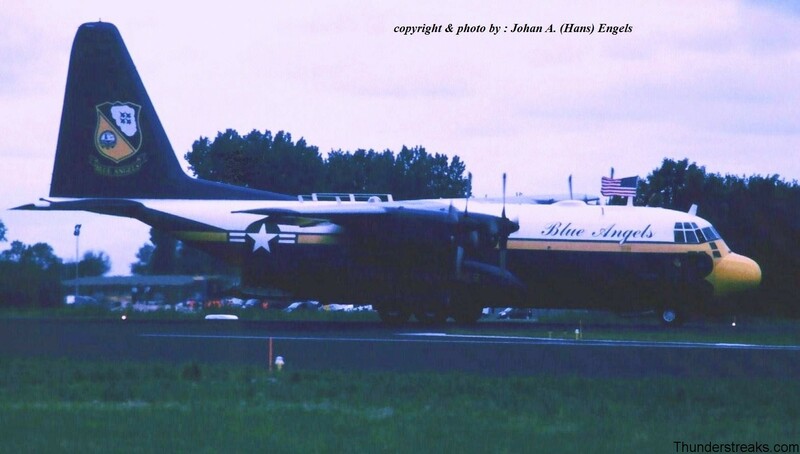 The flying-programme during the Open Days at Leeuwarden Air Base (NL) in June 2006 featured the U.S.Navy’s Flight Demonstration Team The Blue Angels. 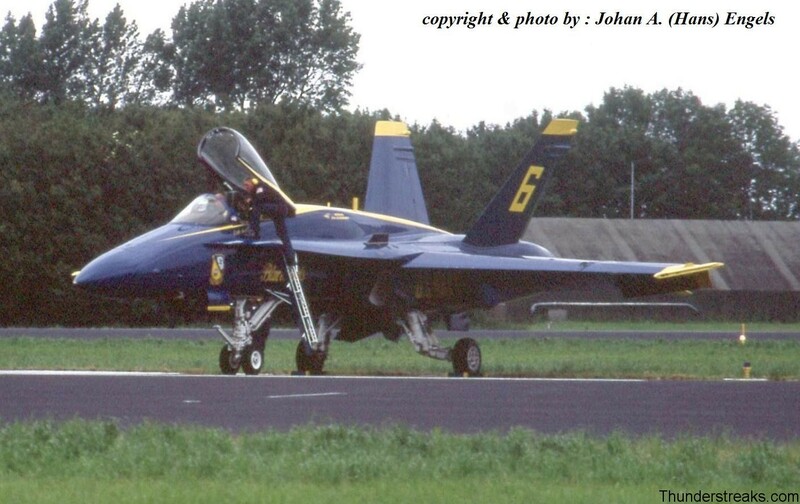 Never before they visited the Netherlands so this was their first time and for Dutch aircraft spotters it was an excellent opportunity to see their F-18 Hornets and one Hercules in action ! 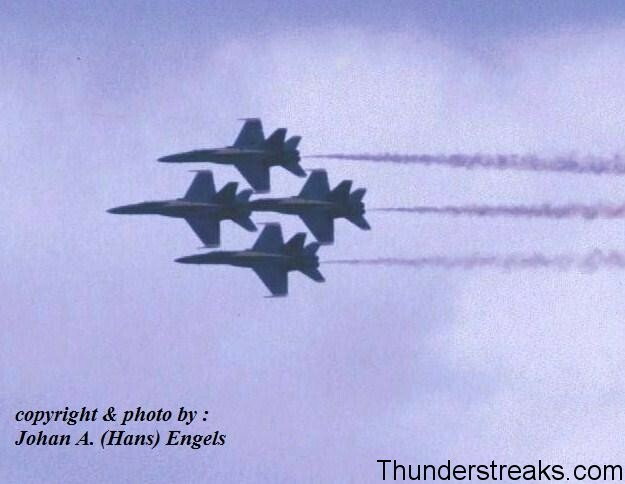 Weather on the 17th of June was considerably better than on the 16th with many clouds and a heavy overcast practically all day . 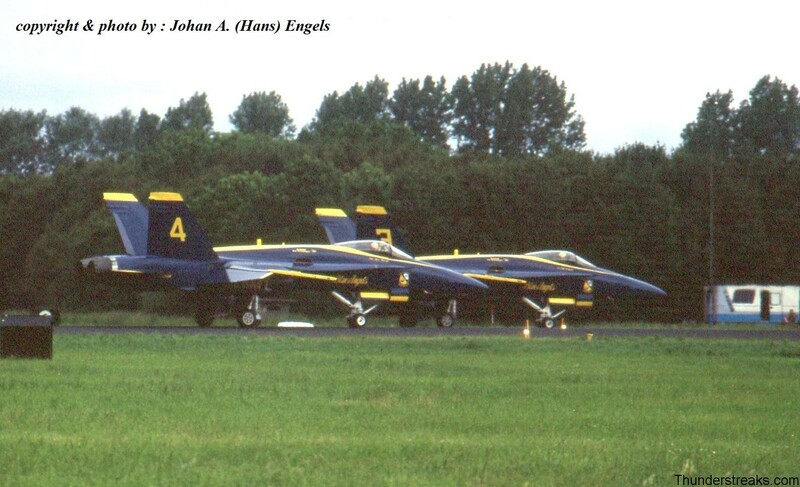 This factor influenced the quality of the pictures that Hans could made , being present there on the 16th . 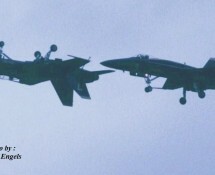 Anyhow they do give a good impression of a unique happening. 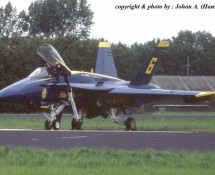 Many thanks to KNVOL for organizing the touringcar bustrip to and fro the event.